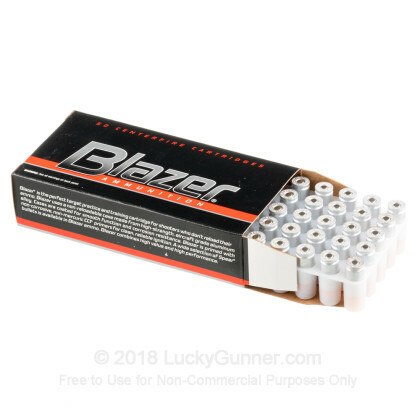 Blazer's 9mm aluminum cased ammo is ideally suited for target practice, range training, and plinking. 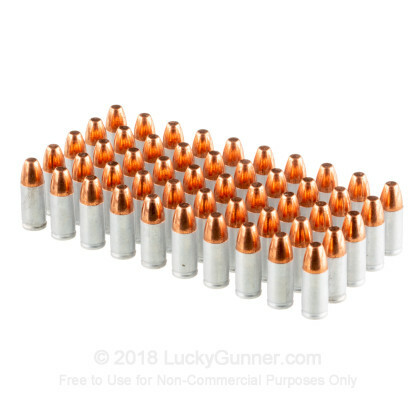 These aluminum cased cartridges are less expensive to manufacture than brass while offering corrosion resistant properties and more rounds for your money. 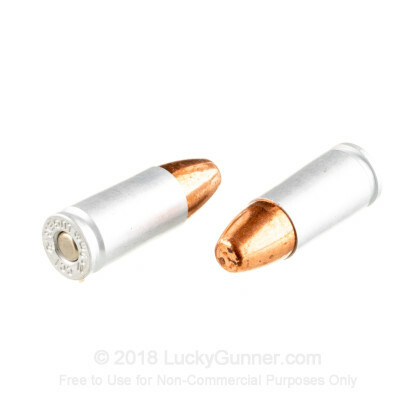 Ideal for the shooter with no intentions of reloading, this ammo is a great solution to hone your skills at the range. Blazer has a great heritage of quality manufacturing and is located on the banks of the Snake River in Idaho. 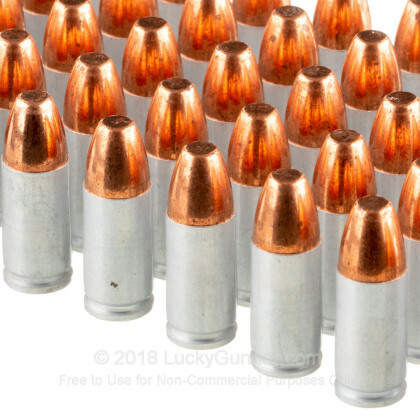 This ammo is aluminum cased, berdan primed, non-reloadable and non-corrosive. 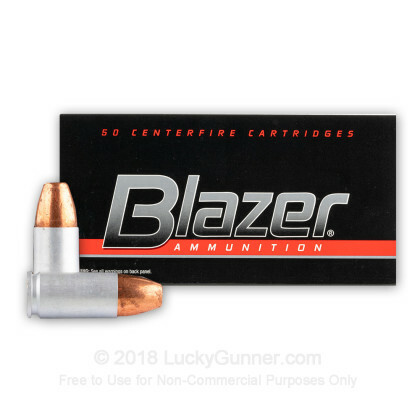 We don't have any reviews yet for this particular 9mm Luger (9x19) ammo from Blazer. 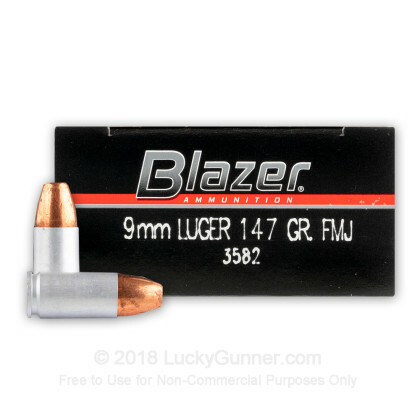 If you'd like to be the first to review this particular 9mm Luger (9x19) ammo from Blazer, fill out the form below. We also have this 9mm - 147 gr FMJ - Blazer - 50 Rounds ammo in stock in a smaller quantity.